"It's simple. I broke out and broke back to my earlier days: A triangle of risk, improvisation and joy -- as I say, very simple. My rules to myself were: No plan, no notes, no ideas, no microphones; except for Jane 1 I stuck to it. My other rule -- the most important one -- was: At least one piece per day, finished, mixed and not to be revisited again. Jane 7, 8, 9 were done in one day... Brad Ellis was my guide through this: An untiring day, ready to go again... To quote a letter to me from Mark Tobey: ... "It fell off the edge of my brush."" 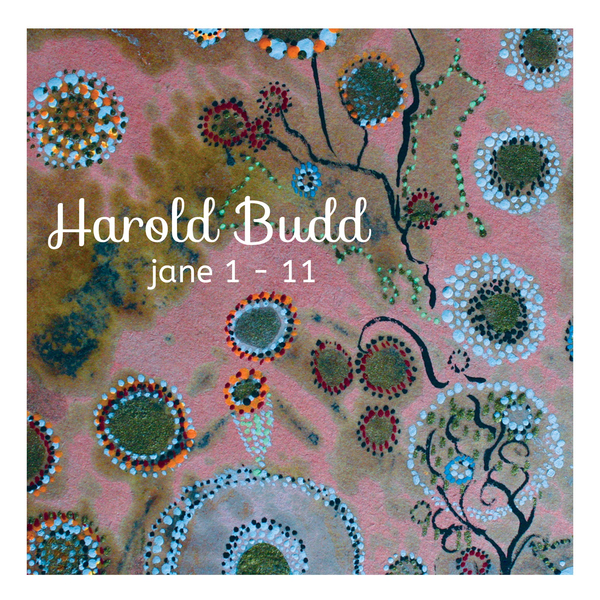 -- Harold Budd. File under Avant-garde, Electronic. Recommended if you like The Plateaux of Mirror, The Pearl, Lovely Thunder, The White Arcades. Who is Jane? Check out Jane Maru, Artist. Cover art by Jane Maru."